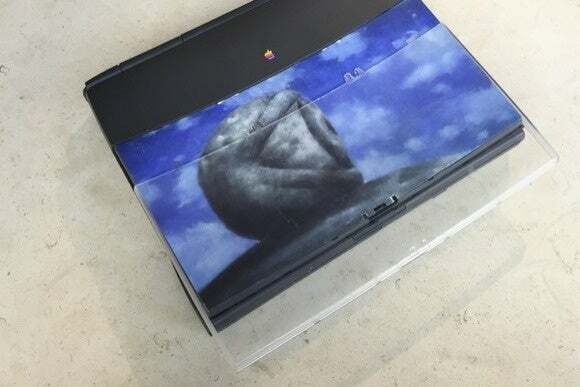 I bought the paper on eBay years ago and cut it to shape when I loaned my wife this laptop to write essays on (and play SimCity on…) when she was studying to become a teacher, but it stayed in place even when she finally moved on to my cast-off iBook G3. 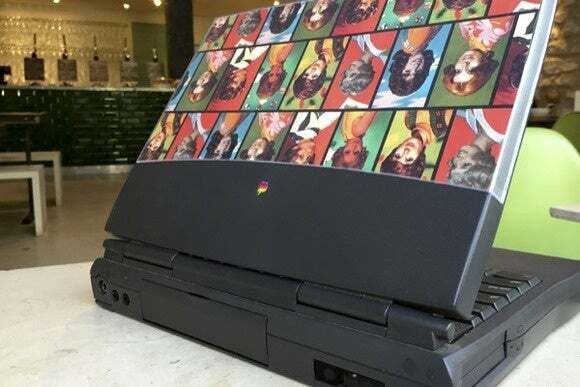 Apple’s suggestions for personalized BookCovers in the manual that accompanied the PowerBook 1400 are terrific—and terrifically dated. I especially love the analog nature of the first suggestion, which reminds me of the SideShow feature of Windows Vista. 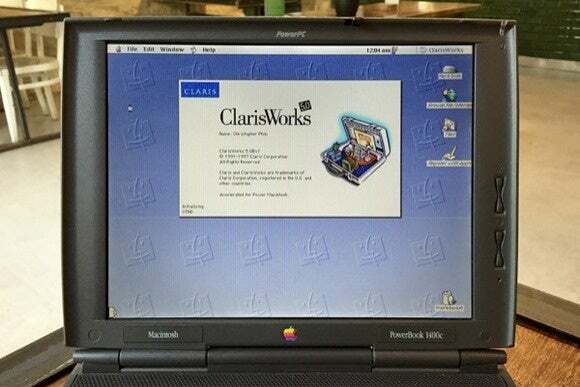 You’re likely to find other templates for BookCover inserts on popular shareware forums or as supplements to commercial software. Peculiarly, there’s no suggestion to use your company logo as a BookCover insert, but I think it looks rather smart! 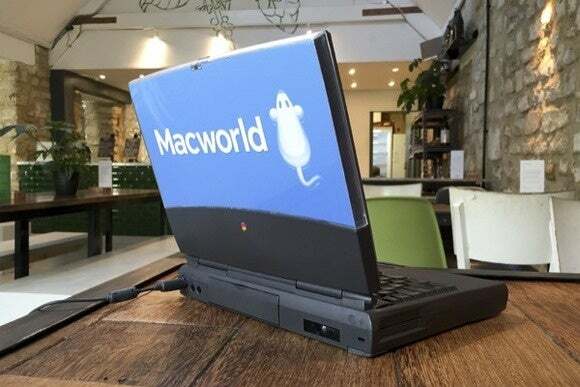 Note that I put the Macworld logo the wrong way round according to the fashion of the time—look at the orientation of the Apple logo—but I agree with modern Apple that this is the right way to do it! You could even buy third-party solar panels that slotted into where the BookCover would go, which is a highly pleasing little hack—even if you’d probably have to sit on the equator of Mercury at noon to get enough light to supply sufficient power. 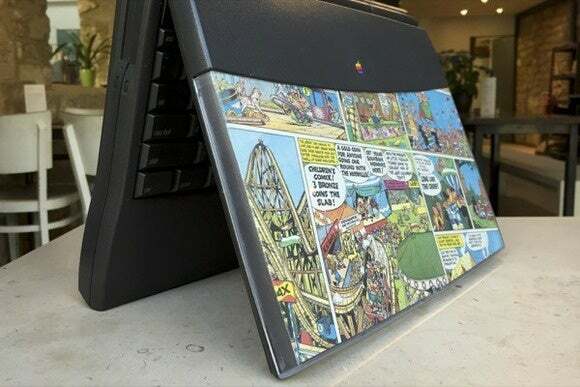 Oh, and by the way, do you remember when—since their hinges were mounted on the top rather than on the back edge of the laptop—screens could do this? 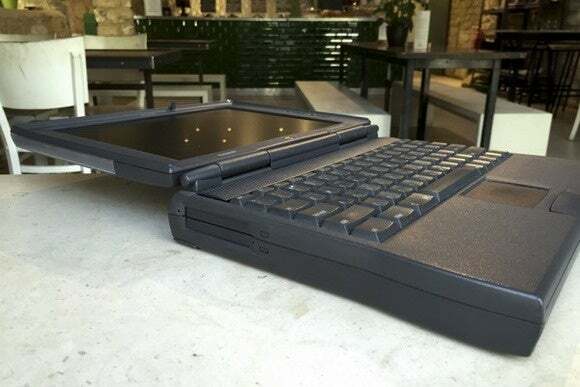 That hinge design also meant ports were on the back rather than on the sides, which I’d prefer even today; the tentacular splurge of cables coming out of the side of my MacBook Pro as it sits on its TwelveSouth HiRise looks messy. Of course, these old hinges mean that the laptops were thicker too even if everything else had been equal; this one barely fits into my laptop bag! 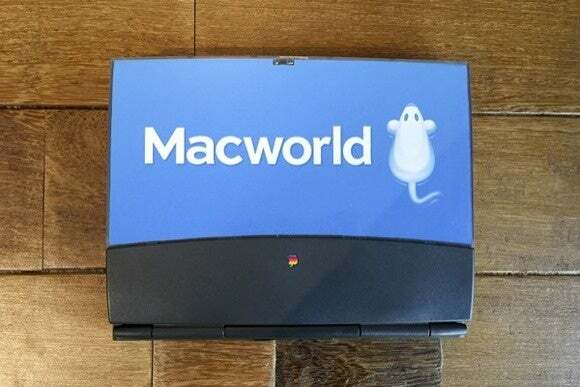 Share your stories of your personalized Macs in the comments, especially if you had any clever ways you used the PowerBook 1400’s BookCover inserts!